Discover £50 Off Selected Cycle Clothing and Equipment at Wiggle - Includes Jerseys and Sunglasses Hit the road with gear that's guaranteed to up your cycling performance. Find some big savings on cycle clothing at Wiggle. 30% Off Selected Garmin Accessories at Wiggle Save on Garmin accessories at Wiggle, perfect for any outdoor adventures you have planned. Up to 50% Off Adidas Collection at Wiggle Shop the Adidas collection at Wiggle and save up to 50%. £5 Off First Orders Over £50 with Newsletter Sign-ups at Wiggle Who wouldn't want a fiver off their purchase? Sign up to Wiggle's newsletter for £5 off your first order. Up to 50% Off Berghaus Collection Jackets and Footwear at Wiggle Conquer the outdoors with Berghaus quality outdoor wear, available with discounts as high as 50%! Find 70% Off Selected Wheels at Wiggle When your wheel finally hits its limit, be sure to find a replacement at Wiggle where there are consistent discounts across their range. Free Delivery on Orders Over £16 at Wiggle Your Wiggle order won't cost you anything extra for delivery if you spend over £16 on all your cycling necessities. 35% Off Selected Gym Bags at Wiggle With the temperature dropping, head indoors for a gym workout and help yourself with a discount gym bag from Wiggle. Free Returns on Orders at Wiggle Not 100% sure about sizing? Wiggle have got your back with free returns within 1 year! The range of equipment, accessories and gear on offer at wiggle is unbeatable. For the humble cyclist as well as the pro - here you can find the best bikes to enhance your performance and it doesn’t stop there. With components and gadgets plus accessories like technical shoes, apparel and even wetsuits - whatever your calling, by bike, sea or on foot - you will find all the support and motivation you need here. Invest in something that truly matters with wiggle, and discover brands that create innovative design and the latest engineering enhancements on their gear. The North Face, Berghaus, Salomon and more - whether you’re an amateur or training for a triathlon - wiggle can up your game for good. Click ‘apply’ and your discounts will be visible in your order summary along with any other offers so you can continue to complete your order. Sign up to the wiggle newsletters to get cool offers sent straight to your inbox! Does wiggle offer student discount? Not currently, however, there will be seasonal sales and the newsletter will keep you updated with any offers currently running. Can I insure my bike with wiggle? With wiggle you can find great insurance options for your brand new bike. They love them, and here you’ll get a grand policy starting from just £2 a month. Covering public liability, personal accidents, physiotherapy and more - choose from 3 options - there’s bound to be one that’s right for you and your ride. 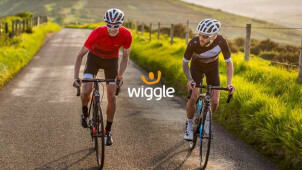 What is the wiggle price promise? The price promise means that wiggle just won’t be beaten on their prices anywhere else. They compare their prices on your behalf to ensure that theirs are the best, however, should you find an even better bargain somewhere else within the 7 days following your purchase - let them know and they will match it. Can I get wiggle gift vouchers? Absolutely, you’ll find them right here. Returns are free for, essentially, items that aren't bikes - print off a returns label here and send items back in their original packaging. You can use this contact form to reach wiggle online, or reach them via their customer services page. Whether you cycle, run, hike or swim - no matter what your sport, at wiggle.co.uk you can find the best goods to up your spring performance. Use a wiggle discount code to get incredible deals on a superb range of top quality gear that’ll let you explore your sport and the outdoors. This is the ultimate online store for thrill seekers and adventurers everywhere, so you can rest assured that wiggle has got your needs covered. For apparel, equipment, nutrition at more - just wiggle. If you’re looking to improve your commute this spring, with Wiggle you can take part in the Cycle to Work Scheme. This programme allows you to save up to 42% on a jazzy new bike by cutting out the tax man and by letting you spread the cost over a 12 month period. After all, it makes sense to get rewarded for doing the world some good. This is green, healthy living as you know it, and with an incentive to save too - wiggle has got your back. We're commuters here at vouchercloud, so the urban choice of a hybrid or foldable bike is right up our street. Beautifully built, you can go classic with looped frames, lightweight for a touch of speed and more. With a wiggle voucher code it's easy to save on models that'll get you from A - B easily and safely this spring. Tested and tuned, you'll be riding on a quality built bike with wiggle all whilst reducing your carbon emissions too.